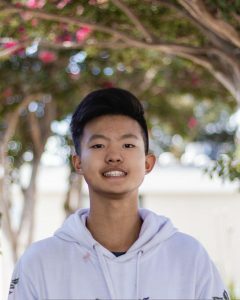 Michael Zhu (11) is a staff writer in his first year in The Voice. He joined the school newspaper because of his joy for writing local events and capturing the rawness of humanity in a way that can be preserved forever. In his free time, he enjoys petting his 3 cats and taking walks toward the sunset. He believes the world is flat. His favorite tea is jasmine.